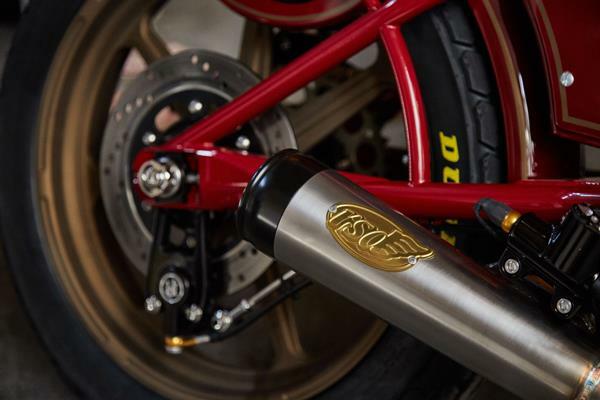 Created by bike builder Roland Sands, this pared-back custom Indian Scout gives a clear indication of where the Indian brand is able to go as future models are unveiled. Revealed at the recent Wheels and Waves custom show in Biarritz, we don’t think a bike as radical as this will be in showrooms in the very near future but Indian bosses have told MCN that something similar to this is now a possibility. 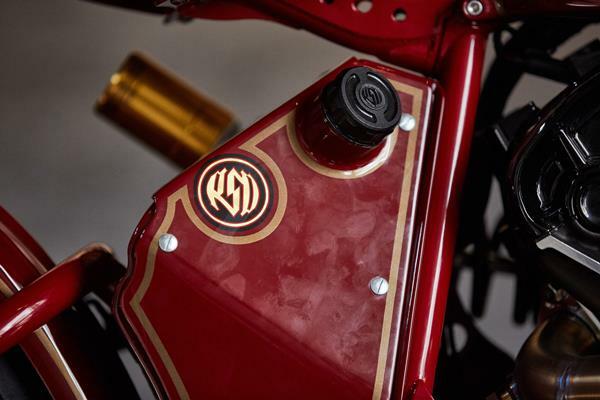 The Sands bike uses the engine from the 1200cc Indian Scout but with a bespoke tubular steel chassis and Ohlins suspension front and rear to add in a high-tech look to the 1920's boardtracker style. 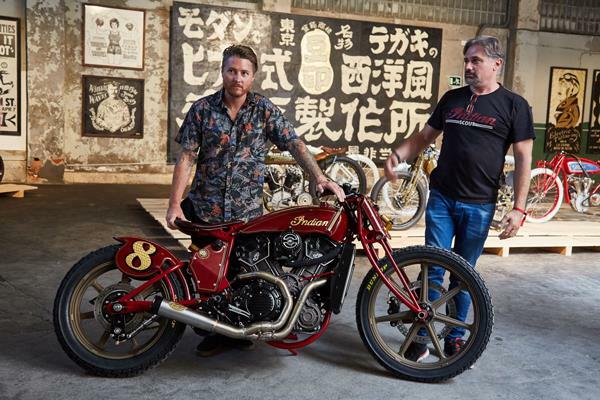 Sands said: “Doing a bike like this was good fun because it was so simple and clean although that meant we had to think about every single part that went on the bike and where that was going to work well. We wanted to make sure we kept the classic lines of the bike but also add in some new technology like the Ohlins suspension. 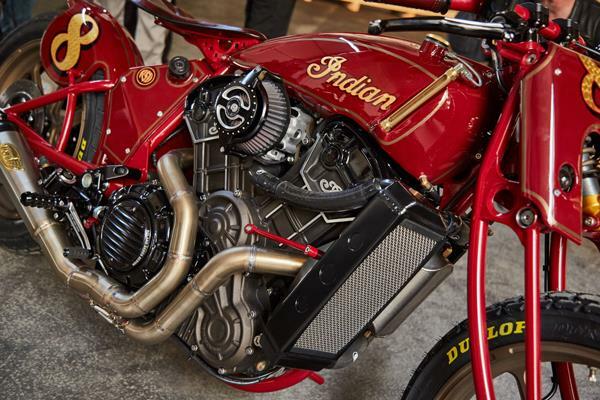 Indian marketing boss Reid Wilson added: “This bike was a chance for us to show what Indian could be capable of producing because of the history of the brand. When Indian’s latest era began we had to make sure the foundations of the heavy bikes like the Chieftain were all there because they were vital.